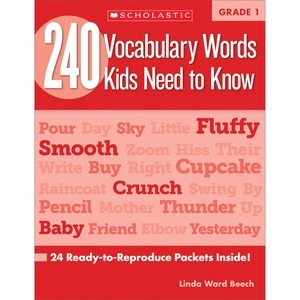 Resourceful book features ready-to-reproduce packets to make vocabulary-building fun and effective for students. Research-based activities tap students' prior knowledge for greater understanding and give them multiple encounters with new words to help retain the information. Topics include synonyms, antonyms, compound words, content area vocabulary related to key science and social studies topics and more. Book is designed for children attending second-grade.